Giveffect is the leading fundraising, events, online donations, offline gift tracking, volunteer management, donor management and constituent relationship management software for nonprofits - and more. Connected and automated. Experience a radically better way to manage your nonprofit. See why nonprofits and charities across the Nation turn to Giveffect. Click here for more. Bring all your Nonprofit activities online, then automate the paperwork. We take care of data migration with your custom fields. Sit back and relax. Donation button, log offline gifts, process credit cards for one-time or recurring donations, track pledges. Branded mobile-responsive donation checkout embedded in your website. 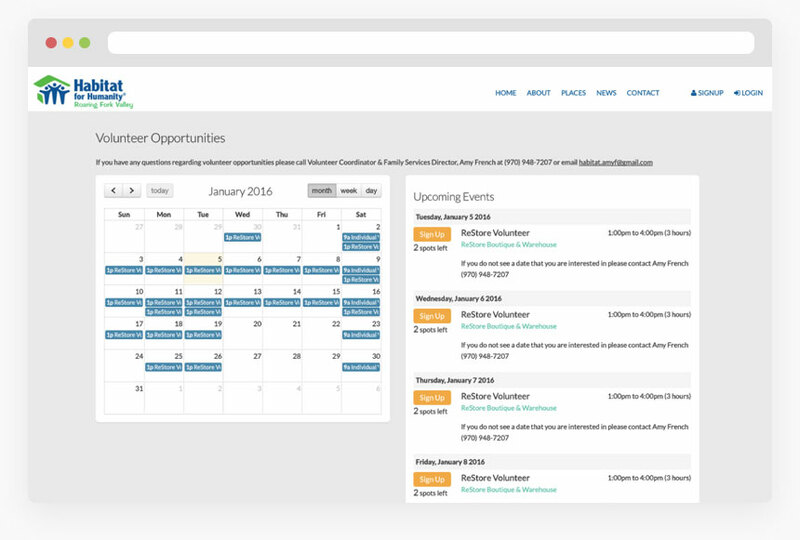 Volunteer software to manage your volunteer schedules, hourly tracking, restricted groups. Online application form, calendar and signup. Branded events and fundraising pages embedded in your website: ticket sales events, P2P, Team Fundraisers, Auctions, DIY pages. All constituent touch points will be tracked and managed: donors, volunteers, participants, teams, supporters, leads, households, employees, sponsors. Expense tracking, budget management, custom reports, Quickbook accounting reports, permission settings. Track your members and membership fees. Process credit card payments for one-time or automated recurring renewals. Email marketing, newsletters, batch print and mail merge. One-click to send actual Letters and Postcards, delivered by your local Postal service. Identify prospects using top indicators such as real estate ownership, business affiliations, giving capacity and likeihood to give. Track prospects with Moves Management. Build beautiful modern websites and blogs using customizable templates with HTML/CSS control. Reliable and secure web hosting. We do the busy work for you. We automate data entry, issue tax-receipts, send thank you emails, volunteer confirmation and reminders. Nonprofit Dashboard: All your systems in one place. One software to manage, analyze and care for your constituents: donors, volunteers, leads, fundraising campaigns, sponsors - and more. Each constituent receives a self-serve account, so they can get what they need, when they need it. Nonprofit Automation: We do the busy work for you. Giveffect automates all time-consuming work that goes into managing your donors, volunteers, leads and contacts. Administrative work like issuing tax-receipts, sending out emails and direct mail, creating fundraising pages, managing volunteer shifts and schedules takes minutes, not days. Nonprofit Support: Our team is the go-to for your team. Chat, phone and account management software support. All the help you need - from donor management, volunteering, fundraising and nonprofit management. Nonprofit employees can contact us directly, which means less work for you and faster resolution for them. Hear what Giveffect clients have to say! "By switching to Giveffect we have eliminated having to use multiple non-profit platforms to function. Everything was separate for us before and we basically were spending a ton of time moving between nonprofit software, platforms and systems that didn't communicate well together and/or did not allow us to present the look and feel of our non-profit organization. With Giveffect, we can easily accomplish all of our tasks from one non-profit software AND on the frontend of things it integrates seamlessly with our own Big Brothers Big Sisters website!" "As we transition from our last donor database to Giveffect, it is very refreshing to know there is help just a click away when we get stuck. Compared to our last database, the potential this system has is far superior and I'm excited to explore and learn of all the options it has to offer. The on-line chat service to help navigate through the system is outstanding. Being one of those who is not technologically savvy, the tutorials and online help have made this transition super easy. I am so thrilled to have been a part of this transition with Giveffect right there ready to help." "We’re trying to use Giveffect for everything. We want to spend responsible dollars to do as much as we can in every aspect of our Habitat affiliate, especially in nonprofit software. In summary, these are the departments that use the Giveffect nonprofit software: mortgage management, business administrative office, marketing and communications, volunteer and community outreach, family partnerships, and pretty soon, Habitat ReStore." "The greatest thing about Giveffect is that everything is in one system. When we were considering which nonprofit software to use, the four key things we were looking for was a volunteer management database, donor management database, online giving system and registration forms. We were really looking for a CRM database that was able to spit out reports and had an easy way for importing data. What I also liked was the e-marketing piece because we can track the data that comes in for everything the donors give and market them with a newsletter. It’s also really easy with the Giveffect nonprofit software to spin out a thank you notes and issue tax receipts. Then we follow-up with our Goodwill donors with a phone call." A few questions clients typically ask us. Click here for more. 1 What are the benefits of an all-in-one software for nonprofits? The benefit of using Giveffect as your all-in-one software for nonprofits isn’t simply that our system is far more feature appropriate, user-friendly and affordable. We go a step further. When your nonprofit systems are connected with one software, we can make your life easier. All data ever logged from your nonprofit organization’s core functions (i.e. : donations, volunteering) will be entered automatically in our constituent relationship management database. Therefore, in real-time, you can access and manage all donors, volunteers, fundraisers, leads, corporate contacts and more. An all-in-one nonprofit software means that Giveffect’s Smart Automation software be put to work, so your team can focus on your mission. Click here to learn more about Giveffect’s Smart Automation. 2 How many systems does Giveffect replace? Giveffect can replace 10 systems. 1) Online Giving & Offline Gift Tracking system. 2) Volunteer Scheduling & Management system. 3) Events & Fundraising system. 4) Constituent Relationship Management Database. 7) Marketing & Communications system. 8) Live Auctions & Real-time Bidding system. 10) Websites & Web Hosting. In addition to the 10 nonprofit systems that Giveffect replaces, our backend database also includes a slew of Nonprofit Management Tools to enhance your team’s productivity: task management software, case management software, liability and waiver forms, email marketing, expense reporting, budget management, data analytics dashboards and custom reports, queries and much more. 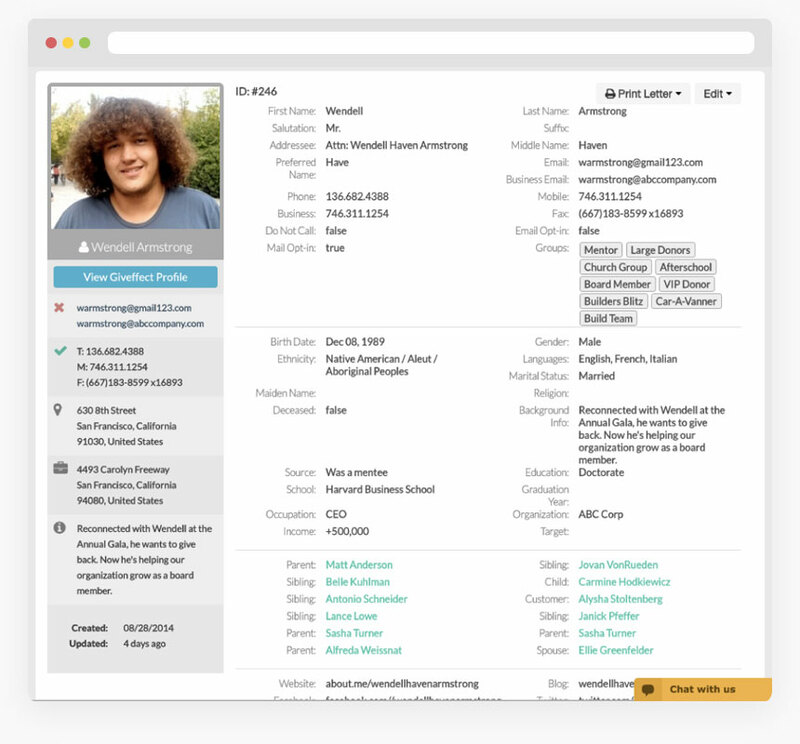 3 Can Giveffect replace my current CRM - constituent relationship management database? Yes. Majority of our clients were previously using multiple software for nonprofits to manage donors, volunteers, fundraising participants and email lists in separate systems. Majority of constituent relationship management database (CRM) converts we’ve done for nonprofits typically transferred their data from Raiser’s Edge NXT (Blackbaud), eTapestry (Blackbaud), DonorPerfect, Salesforce, Network For Good, Keystone, Abila, or even Excel spreadsheets. 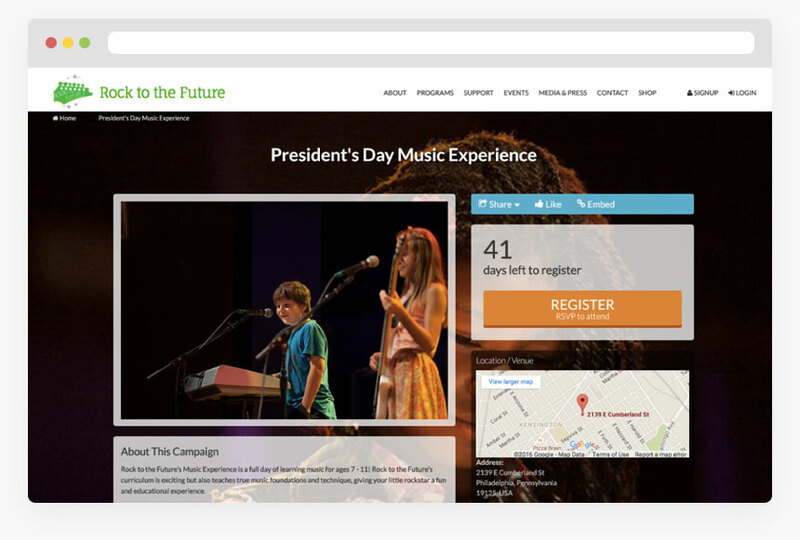 4 Can Giveffect host events and fundraising pages? Yes. Your nonprofit can host unlimited events, rsvp and fundraising campaign pages with Giveffect’s solution. 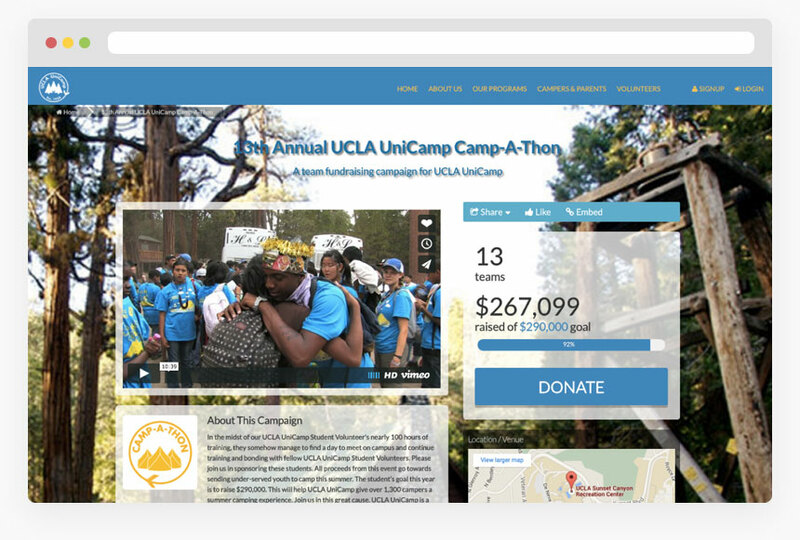 All campaign pages are embedded right in your nonprofit’s website. All pages are mobile-responsive, SEO friendly with email and social media share integration built-in. You can host any type of fundraising event with Giveffect: ticket sales events, rsvp, challenges, walk run ride, peer to peer fundraising, team fundraiser, DIY or start your own fundraiser. 5 How comprehensive is Giveffect’s volunteering system? Our volunteering software is one of the most comprehensive volunteer software in the market. Design your own volunteer application form, store signed liability and waiver forms online, create unlimited shifts with group restrictions, send out private or general volunteer calendars, track volunteer hours and manage the quality of each volunteer event - and there’s more. 6 How much help do you offer for data migration? Our all-star data migration team will make sure that all your nonprofit organization’s data will be logged into our constituent relationship management database flawlessly. See if you qualify for free data migration. Click here. 7 I’m interested, what are the next steps? Request a demo and speak with Giveffect representatives regarding our all-in-one nonprofit software. After the demo, we invite you to test drive the system with a Free 14-Day Trial. Click here to get in touch with a Giveffect representative or email us at contact@giveffect.com. See live examples of how clients across the Nation are using Giveffect.